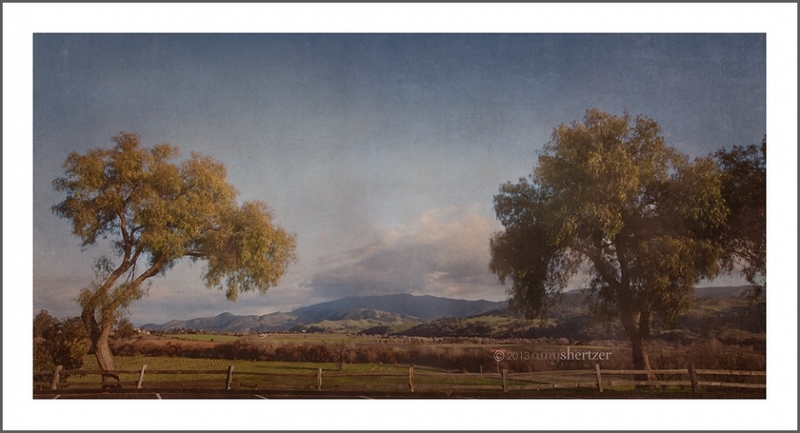 Another installment of Fine Art Friday served up today, this time from the beautiful southern California town of Solvang. Rolling hills, ancient trees, and amazing vineyards make a beautiful landscape. Because the landscape itself has such an “old world” feel, I decided to do a little something different than my typical bright style. Hope you enjoy it! Please check out Cheree Federico, Bowling Green KY Photographer for her beautiful fine art image this month! I did enjoy this, Amy! Very nice. Looks like an impending storm in the background. Not sure if it is, but I love what it brings to the image.